Horsham Quakers have been worshipping on the Worthing road site for over 300 years, although the current Grade 2 listed building dates from the 1780's. 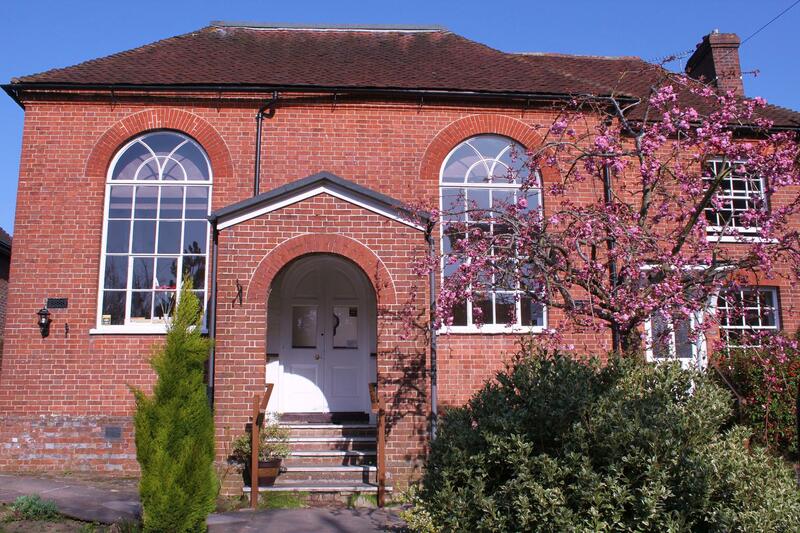 It is home to Quakers in Horsham, and is also a busy community building hosting a variety of local groups and organisations seven days a week. Visitors of all faith or none are most welcome at our meetings. * Children's Meeting on the first Sunday of each month. * Tea, coffee and social time afterwards. (Bring your lunch to eat with us if you wish). Direct, personal communication with the Divine. Simplicity in worship style and way of life. Peace, Integrity, Justice and Equality for all people. Respect for, and commitment to, a sustainable environment. Information for hirers about renting our rooms: specifications, prices and downloadable booking documents. For Members and Attenders of the Meeting: latest News, monthly newsletters and meeting house calendar. "Seek to know an inward stillness, amid the activities of daily life. Hold yourself and others in the Light, knowing all are cherished by God" Advices and Queries 3, Quaker Faith and Practice.